Life insurance policy proceeds are distributed to named beneficiaries without income tax liability. Beneficiaries who receive a single lump sum as a life insurance death benefit are not obligated to report the payout or include it in gross income calculations. The only exception to this rule would be if a beneficiary received an amount greater than the actual death benefit. Although rare, this situation may occur when the insurance company temporarily places the death benefit in an interest-bearing account while awaiting documentation, or while the beneficiary investigates possible consequences of the various payout options. In addition to the lump sum distribution, the beneficiary would receive any interest generated by the policy proceeds, and that excess is taxable. Most life insurance companies offer beneficiaries the option of receiving death benefit proceeds as a series of equal payments over a pre-determined period of time, rather than in a single lump sum. Recipients who select this payout method typically receive more money because the benefit amount is transferred into an interest-bearing account. In those cases, the portion of each payment considered interest earnings above the actual death benefit is fully taxable as ordinary income. If you have not declared a beneficiary on your life insurance policy, or if the beneficiary pre-deceases you and you fail to update your designations, your death benefit will be paid to your estate. Even though income taxes are not due on the payout, estate taxes could become an issue if the additional value placed on your estate by the policy proceeds increases the total above the current $5 million exclusion. Life insurance policy proceeds received by businesses or other organizations might be taxable. 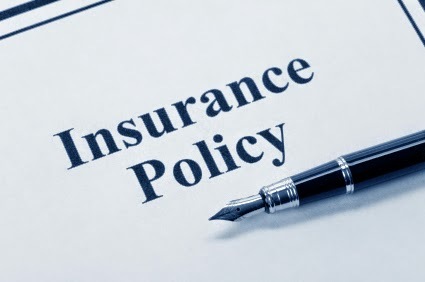 Many companies purchase life insurance on key executives or other employees to prevent substantial losses if that person dies; policies are often purchased on corporate partners to provide adequate capital to buy out a deceased shareholder's family's interest in the business. If specific disclosure documents and guidelines are not properly obtained and followed, the entire death benefit is considered taxable earnings to the company. To avoid taxation of corporate-owned life insurance, the company must obtain the employee's written consent to be covered and acknowledge the size of the death benefit. WorldWideWeb Tax: Do I Have to Pay Tax on My Life Insurance Interest?